Adamite is a zinc, arsenate hydroxide mineral and occurs as a botroydial radiating habit, that are transparent to translucent. Adamite belongs to the subclass Arsenate in the Phosphate Class. 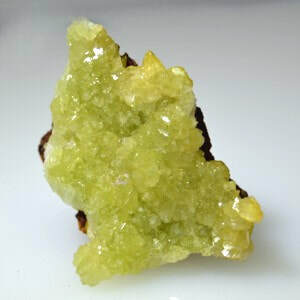 ​​Adamite forms transparent to translucent pale yellow through green to bluish green elongated crystals and radial aggregates. 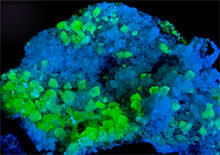 ​The yellow colour is due to the iron compounds in the crystal, tints of green are connected with the presence of copper or uranium and the purple colour is caused by a cobalt content. 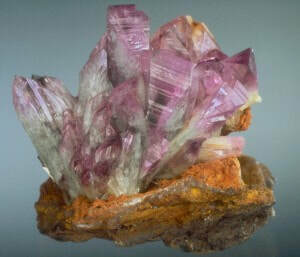 Reddish to pink and violet transparent crystals have been reported from Mexico. Adamite is strongly fluorescent in short and long wave UV light. 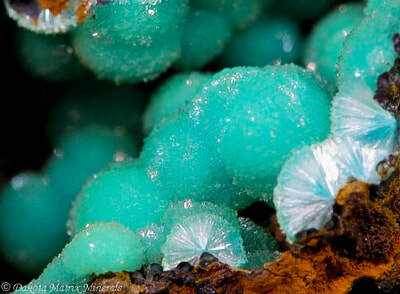 Adamite is found in Mexico, Namibia, Russia, China, New Zealand, British Columbia, Canada and Taiwan. Adamite will discourage interruptions from neighbours, colleagues and distracting chatter. ​Keep this stone on a shelf above your phone to discourage cold callers. Adamite is excellent for pendulum work to decide between options. ​Adamite supports the heart, lungs, throat and glands. 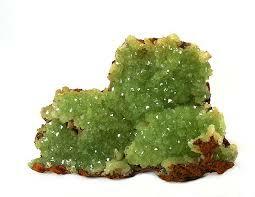 Adamite is stimulating to the endocrine system, particularly the secretion of the love and joy related hormones. This can assist those who may feel depressed or experience strong symptoms related to hormonal imbalance such as PMS and SAD or other cyclical hormone related imbalances. It can assist in clearing the mental fog that is often associated with hormonal imbalance, chronic fatigue syndrome or a general lack of energy. Adamite is helpful for finding joy in exercise an physical expression and so is helpful for those of you who need to reconnect with your body or who wish to experience weight loss or an increased level of physical fitness. ​If you are ruled by your emotions, Adamite creates emotional equilibrium and will help you to find a calm, centred space around which emotions can rage without affecting your inner serenity. ​Adamite assists in clearly communicating your needs, especially when you need to change. It enhances your emotional interaction, to allow more room for expressing feelings. This is the perfect stone to attract more joy into your life. ​Adamite helps you resist emotional manipulation especially by those who play on weakness or guilt. Adamite helps you to move out of passive mode and into an active, dynamic and expressive relationship with others and with the world around you. It can help you to remain playful, joyful, patient and kind. This stone allows you to return to a state of child like wisdom, helping you to recover your sense of wonder, curiosity, creativity and vitality. Adamite can help you lighten up and move out of a state of worry based paralysis. This stones energy can also help to relight the passionate spark of sexuality within loving relationships, as it assists couples in rediscovering their playfulness and joy in one another. 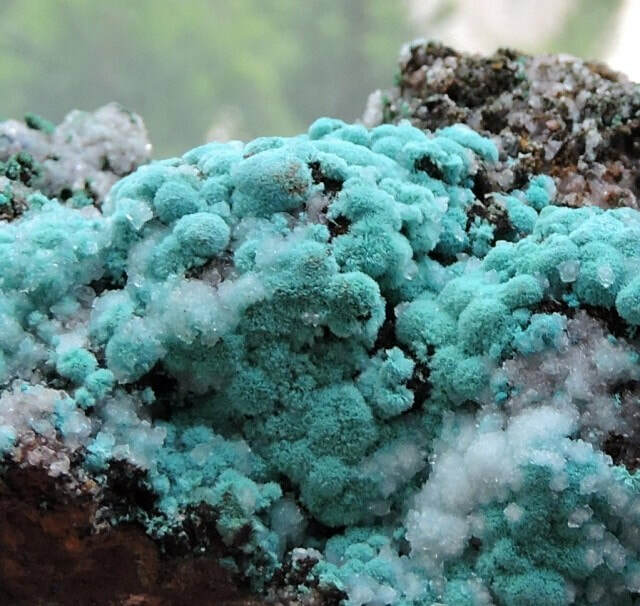 ​Adamite is useful if you have to focus on specific tasks or face difficult choices. It helps in consulting your inner self and in direction you to where answers lie. The answer might not be what you wanted but it is the one you need. This stone suggests surprising and innovative solutions to problems, but they will work if you trust in the process. As a creative stone Adamite, helps you to move forward confidently into an unknown future and activates your entrepreneurial skills. It promotes the ability to identify new avenues for growth in both your business and personal life, and it is the perfect stone to program so that it attracts a new job or prosperity. It can be used in meditation to help you in creative problem solving or bringing through new ideas. Adamite can help to prevent psychic vampirism, since the frequency of joyful exuberance it creates is unpalatable to those who replenish themselves by feeding on the energy fields of others. ​This stone brings, heart and mind together as it links the solar plexus, heart and throat chakras with the universal mind, providing clarity and inner strength when dealing with emotional issues and strengthening your spiritual will. It is helpful in building your trust in the Divine's ability to meet all of your needs and in this way it is helpful to use in spiritual abundance work. Often people are confused about their spiritual purpose because they don't realise that the Divine's will for us is to follow our greatest joy, therefore sharing and spreading that joy to others.